Looking for a budget-friendly and reliable maid service for your Washington DC, Maryland, or Virginia home? You've come to the right place! Our residential cleaning specialists have been satisfying area customers since 1971. Even more importantly, our maids are well-trained, honest, reliable, efficient and make providing first-class cleaning services their top priority. We take pride in treating your home as if it was our very own, and are happy to provide move in/ move out service, special request services such as upholstery cleaning and silver polishing, and even garage clean-out and carpet cleaning when and wherever needed. Never forget, here at Jiffy Maids, your satisfaction is guaranteed. We invite you to enjoy the peace-of-mind that comes in knowing your cleaning needs are being perfectly handled by a professional, bonded and insured maid service who has been doing business for over 40 years. 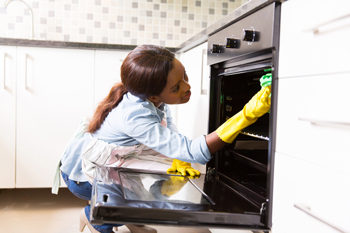 We offer flexible hours, reasonable rates, and we provide our own cleaning equipment. Contact us today for a free estimate for cleaning services in Washington DC. Are you moving in or out of your home or office? Are the in-laws dropping in unexpectedly? Whether you are looking for a monthly contract, or just want to spruce up your home for a special occasion in the Washington DC, MD, or VA area, we have the tools to get the job done. Go ahead, leave your cleaning headaches to the professionals right here at Jiffy Maids. We make your cleaning our business!